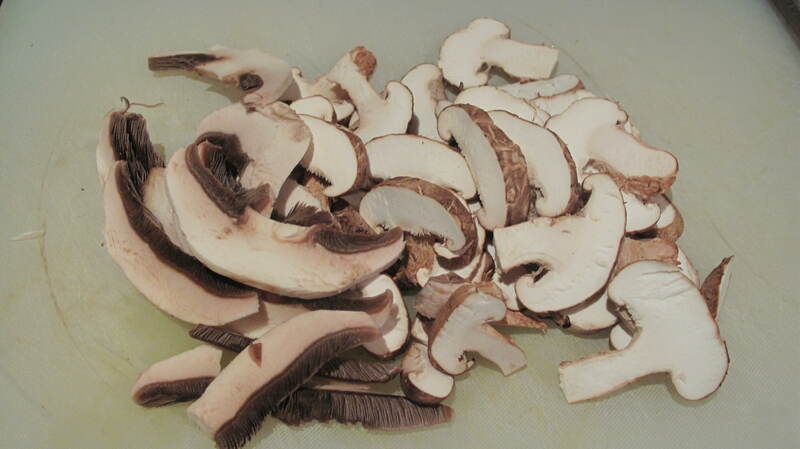 There is something rather opulent and indulgent about this dish- despite it being incredibly easy and cheap to make- particularly if you get your ‘shrooms from a market. Unlike regular risotto the stock needn’t be added gradually- but simply thrown in and left to its own devices- shortly followed by the other ingredients. Told you it was easy. Spelt is the most ancient of grains, going back yonder to the Bronze age and beyond. 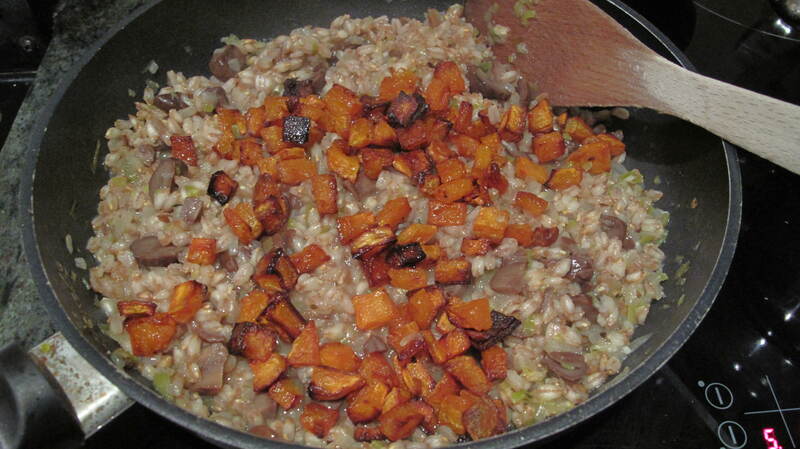 On a satisfying note- spelt is also a healthier alternative to regular rice and stuffed full of nutrients. Its wonderfully nutty taste means it takes on bold flavours well- like the pungent garlic and aromatic thyme- and is balanced perfectly with the sweetness of butternut squash and chestnuts. Roasting the squash enhances this natural sweetness and draws out a caramel-like flavour to it. If you want to get really fancy, a teaspoon of truffle honey drizzled over the squash for the last 2 minutes in the oven adds a final, delicious flourish. 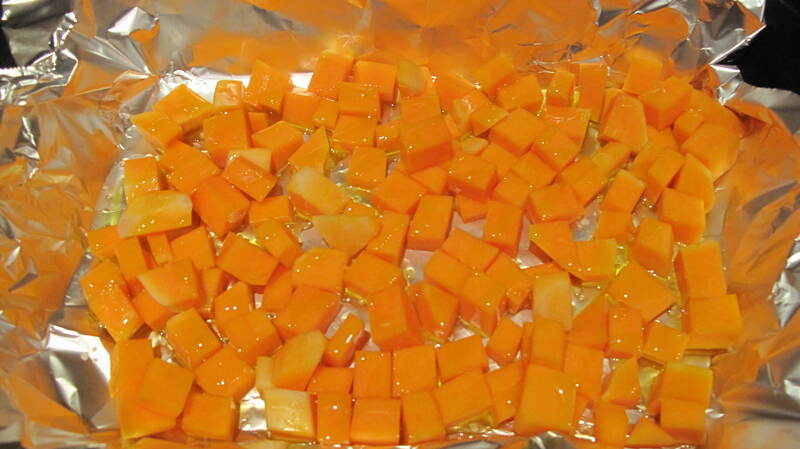 Peel the butternut squash, then cut into small cubes. Scatter into a roasting tray, drizzle with olive oil, then roast in the oven until golden and soft. This should take around 30 minutes. Meanwhile, finely dice the onion, leek, garlic and slice the mushrooms. In a deep-sided frying pan, melt half the butter and a drizzle of olive oil. Turn up the heat slightly, and before the butter begins to sizzle add the mushrooms and sauté for around 4 minutes- until they’re soft and golden on the edges. Set aside on a plate and cover with foil. Add another drizzle of olive oil to the pan, and on a low heat soften the onion and leek. After around 5 minutes add the garlic, continue to soften. Wash the spelt a couple of times, shake dry in a sieve, and add to the pan. Stir. Add the stock, stir and cover. Cook for around 20 minutes until the spelt is tender with a slight bite. By this stage the squash should be nicely roasted- add this to the pan, along with the mushrooms and roughly chopped chestnuts- reserve a small amount of the chestnuts and mushrooms to garnish. Add the fresh thyme leaves and stir. Finally, stir in the remaining butter, and gradually add the parmesan to your taste- and checking it’s not made the risotto too salty. Taste and season carefully. 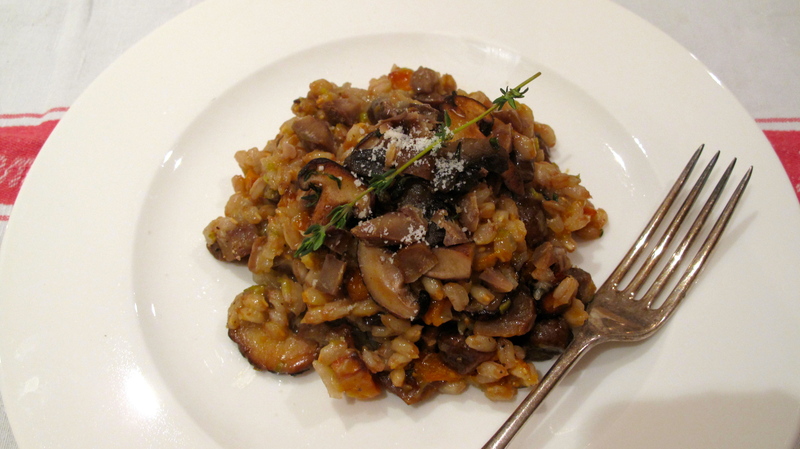 Serves garnished with a scattering of the wild mushrooms, chestnuts and a dusting of parmesan. 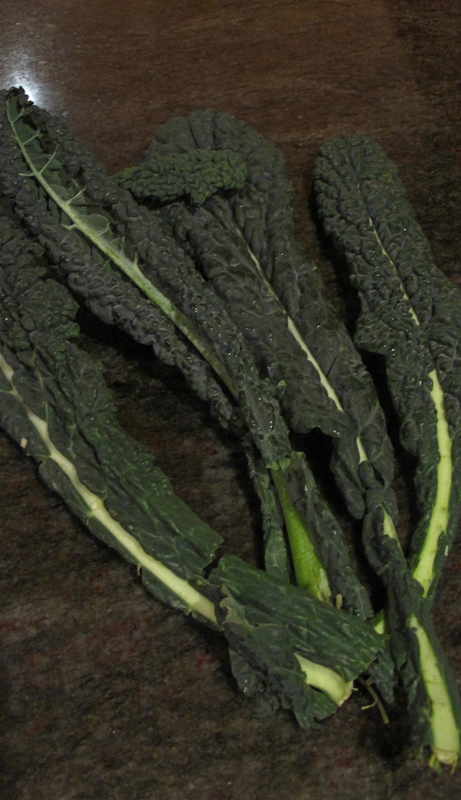 Goes wonderfully with a pile of iron-rich cavolo nero, gently steamed. 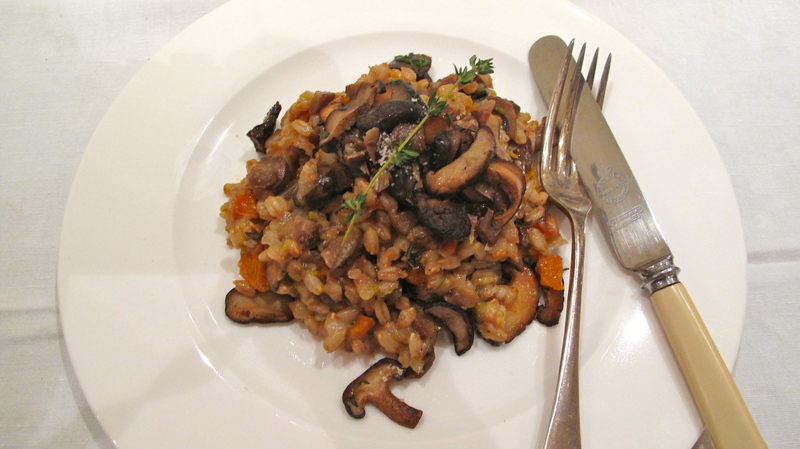 This entry was posted in Healthy, Rice, Pasta, Risotto, Vegetarian and tagged autumn, butternut squash, chestnuts, risotto, spelt, wild mushrooms. Bookmark the permalink.